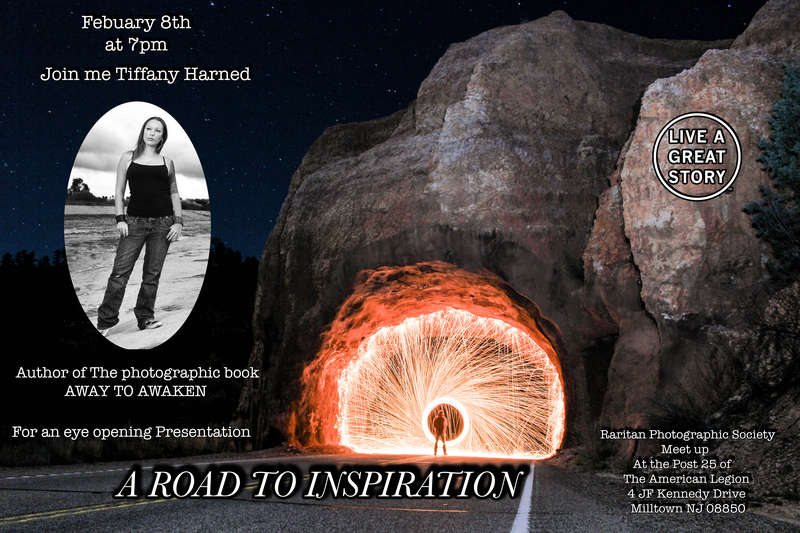 Tiffany Harned will present on topic “A Road to Inspiration”. Tiffany Harned is a former Los Angeles-based music photographer who fell upon hard times after the music industry took a dive around 2009. Left with no other choice but to move back East to her home town to stay with her family, Tiffany found herself slipping into a depression as life seemed to deal her one bad hand after another over the next few years. In February of 2015 Tiffany set out on a cross country journey with her cat, a car, a camera and $3000 in her pocket. On a search for a place to call home, somewhere that she could afford on her own and be happy again, she decided to take the roads less traveled. Little did Tiffany know that in the end she would find something worth so much more. Eventually she landed at a small off-the-grid desert community called Slab City in southern California near the Salton Sea. It was here she found a great deal of inspiration and motivation, and began to rediscover herself. Every day of travel was spent with her kitten by her side on leash and her camera in hand. She began to pour her heart out into her images capturing light and color full of emotion, bringing ghost towns back to life in her photographs, connecting with other travelers on similar life quests. She realized that she had been gone for almost three months and still had not found a home. But she knew that she found something far more valuable: peace within herself. She now understood true happiness. She had learned to overcome some of her fears. She found motivation and a passion to use her camera again after a 6 year hiatus from shooting photos. Tiffany has brought her journey of light and color through her photographic images in the book, Away to Awaken. More of Tiffany’s work can be viewed on line at www.tiffanyharned.com.